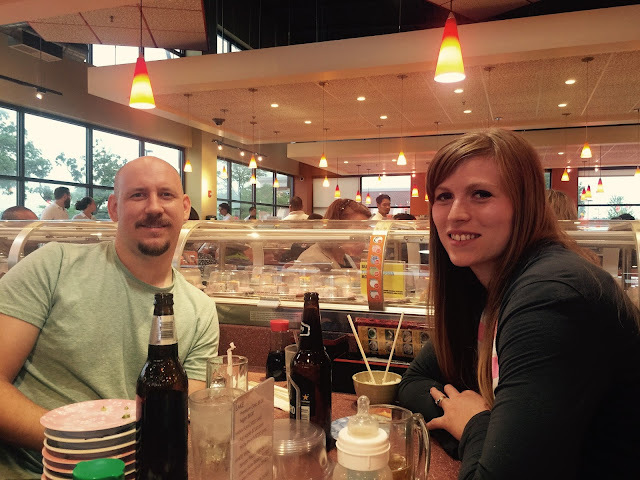 Little Pink Book: We love Sushi Station! That smile! Ahhh He cracks me up! We've been to Sushi Station twice in the past month. They have the best sushi we've had recently, and they also have the best prices. I can't think of one of thing we don't like. It's fun watching the sushi go by, and I also love watching Liam look at it. He's very entertained by it all. This last time, I only picked up the San Diego roll. It's my favorite. What type of sushi do you like?